The content of this website is a collection of proceedings of the International Conference on Mathematics and Science Education (ICMScE), the main website address is at http://science.conference.upi.edu. This conference was organized by Sekolah Pascasarjana Universitas Pendidikan Indonesia. This conference is held every year, focusing on the fields of Science Education and Mathematics Education. The proceedings are published by having E-ISSN 2655-3252 and P-ISSN 2655-2361. Since participants may come from different countries with variety of backgrounds, the conference is an excellent forum for participants to exchange research findings and ideas on mathematics and science education and to build networks for further collaborations. 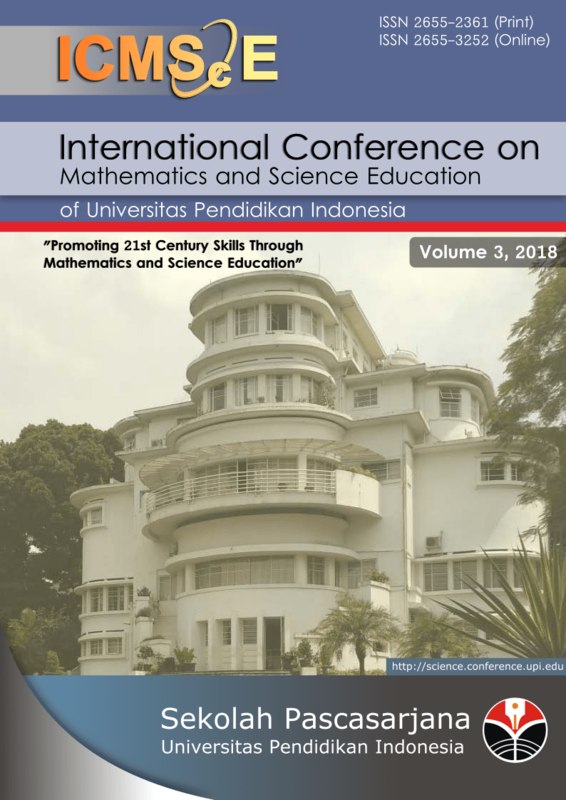 We are pleased to announce that the ICMScE 2018 papers have been published in two publishers, namely the proceedings of the International Conference on Mathematics and Science Education of Universitas Pendidikan Indonesia and the Journal of Physics: Conference Series.